When it comes to the freestyle and street football community, you’ll be hard-pressed to find a region more talented than Scandinavia. The countries of Sweden, Norway, and Denmark house some of the world’s best ballers, from world champion freestyler Erlend Fagerli to the incredibly talented Copenhagen Panna House. 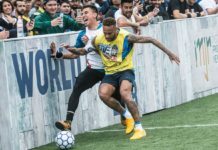 In this edition of Top 10 Tekkers, we’ve compiled a list of some of Scandinavia’s best street and freestyle football skills from both up-and-comers and established stars alike. Hailing from Denmark, 14-year-old Silas Palner has made some serious improvements to his game. Despite only freestyling for six months, he’s racked up quite an array of tricks, with his favorite being the Slap. His most prized memory of his young career is landing his first Lemmens ATW, a landmark that many freestylers look back upon fondly. Markus Johansson is a 14-year-old baller that shouldn’t be looked over. Headed to the Pannahouse Invitationals later this summer, Johansson has also stepped into the panna ring against fellow Swedish panna mavens Emil Jylhänlahti and the Skilltwins. 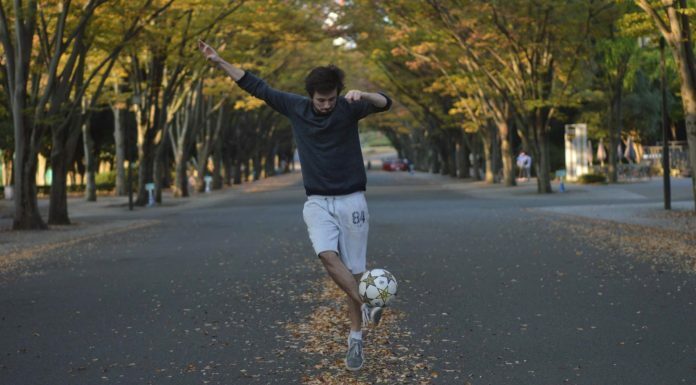 Keep an eye out for this young baller as he looks to make a name for himself in the street football world. Though he may be balling in Tanzania, Emil Salling represents Denmark to the fullest. A member of Pannahouse Kids, Emil is an up-and-coming baller with seriously quick feet. A central part of the thriving Danish freestyle scene, Munck and Simon have traveled the world, performing in thousands of shows along the way. 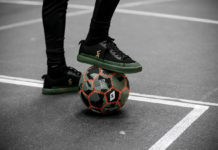 The two serve as President and Vice President, respectively, of the Danish Freestyle Football Community, which is taking freestyle in Denmark to a whole new level. Another member of CPH Kids, 12-year-old Florian Riis shocked many when he upset Frank Jobarteh to claim third place at the CPH Danish Championship earlier this summer. If he continues to improve at this rate, there’s no doubt that we’ll see him at the world’s top competitions as he enters his teenage years. Five years into the game, Sondre Ødegård Aksnes has an incredible arsenal of powerful lowers. Competing in some of the world’s biggest tournaments like Super Ball, Sondre is a possible dark horse that everyone should have on their radar. It’s not a secret anymore that Noah Koffi is one of the sickest ballers in the game right now. The scariest part is that he keeps on getting better. Pannahouse has an absolute monster on its hands. At 15 years old, Sweden’s Simon Strandahl is a force to be reckoned with. With just three years of freestyle experience, Simon is knocking out PATWs, which happen to be his favorite trick, with ease. Coming off a huge victory over fellow Swedish freestyler Marcus Holmberg a few weeks ago, Simon’s confidence is higher than ever and he only looks to be getting better. Now this is just absurd. CPH co-founder Kristoffer Liicht continues to prove that not only can he run one of the world’s top street crews, but his game can back it up as well. Perhaps fueled by his Bulbasaur socks, Liicht hits us with a ridiculous Akka that would leave even the best defender in the dust. We couldn’t have a list of the best from Scandinavia without this guy. Erlend Fagerli is continuing to push the limits of freestyle, with creative flows and incredibly difficult combos. This one is simply sublime, leaving us hungry for more Erlend, who we know we’ll see more of later this year. Think you can do better? Be sure to use the #urbanpitch and #Top10Tekkers tags on your Instagram posts for a chance to be featured in our next edition!